Traveling is part of the FinanciallyFab lifestyle. It’s an expensive hobby, but when you’re FinanciallyFab, you can do it on a budget! In descending order, the 3 largest costs are usually lodging, flights, and food. The key to traveling in style while cutting costs is managing at least 1 or 2 of these large costs. For my Asia trip last summer, I cut costs from all 3 buckets and paid $Free.99 for hotels! I bought the flight on 3/14 and departed on 5/17. Notice the dates. By flying after the 14th, I got the 2-month advanced purchase price, saving over $100. I normally book flights 2-3 months in advance. Flight prices go in waves: booking too early (4+ months) or too late (within 1 month) is usually more expensive. When I travel internationally, I prefer foreign airlines. They are usually cheaper and often have more leg room and better quality food. Don’t be afraid to fly non-Western airlines. I flew ANA, a Japanese airline and had a blast. The food was good and the customer service was wonderful! Lodging is usually where I save the most cash. ﻿ On this trip, I stayed at the Hilton for FREE! Singapore: My friend was living in Singapore as part of a 6-month rotation program with his company, which housed him in a 2-story loft apartment in a fancy downtown hotel! I stayed with him for free. Since every place we stayed offered free breakfast, I only had to think about 2 meals a day. I bought a few snacks from the grocery store to use for day-time snacking and cut down on lunch costs. We chose reasonable restaurants for lunch and dinner, splurging occasionally. 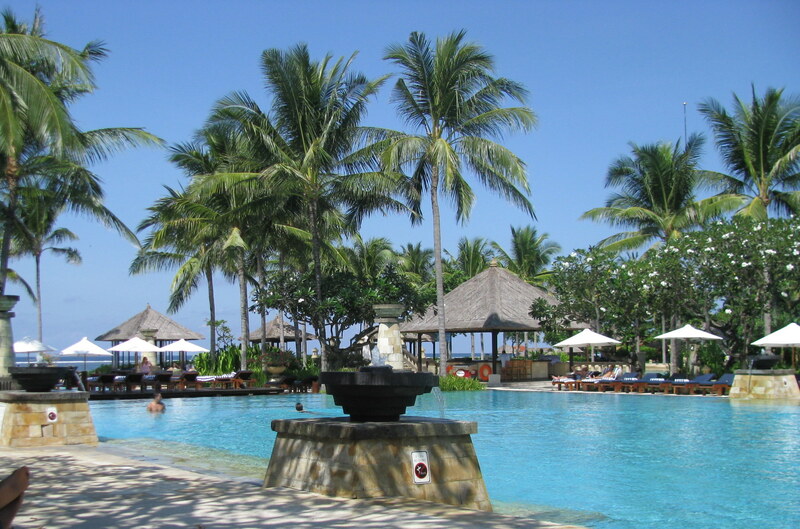 A fancy meal at the Hilton may cost $75 / person in the US and only $20 in Bali. A key reason I started traveling abroad is that my dollar goes much farther. You can trim costs traveling anywhere in the world! Let me know where you want to travel in FinanciallyFab style? Great post. I was checking constantly this blog and I’m impressed! Very useful info particularly the last part 🙂 I care for such information much. I was looking for this particular info for a very long time. Thank you and best of luck. Thanks for the feedback! I try to write about topics that are important to my readers. Are there any other financial questions you’d like me to answer? Thanks for your encouragement! There are more posts coming in the near future. Subscribe to the RSS feed to get the latest posts! How cool is your friend with the hotel points?! Good ideas–seems it always pays to have connections. 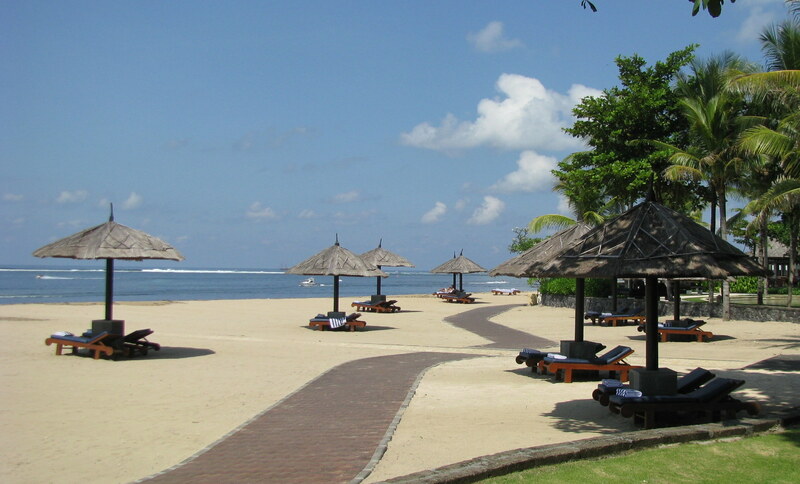 Wow – I always heard that travelling to Bali was inexpensive, but I never really understood how to make it work. Thanks for the great tips! Happy it was helpful! These tips can apply to anywhere in the world. Anywhere else you would like to visit?